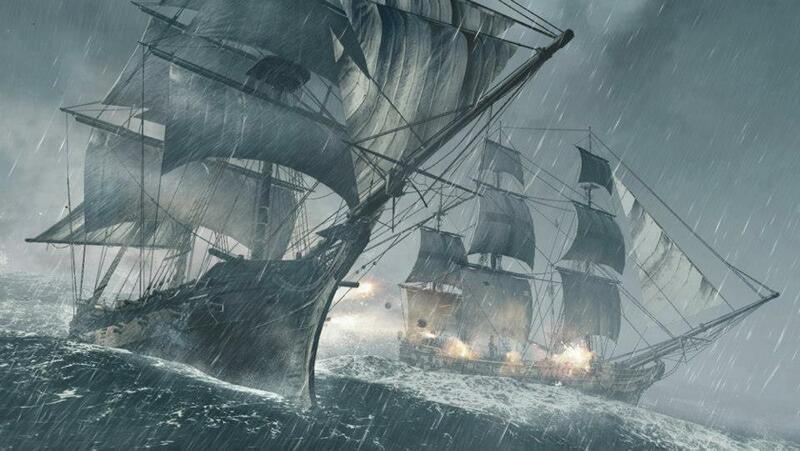 Over the past month Ubisoft’s planned Assassin’s Creed IV: Black Flag marketing campaign has sprung enough leaks to sink a whole fleet of pirate ships. The game’s logo was first spotted by a random Reddit user while he was aboard an airline flight. A few weeks later Black Flag marketing materials, a screenshot, and a handful of plot details were leaked to media outlets. Ubisoft then confirmed the existence of the game, and then left the release date and platform information on a not-so-hidden page on the game’s official website. Finally, the game’s debut trailer and screenshots were leaked over this past weekend. At any rate, Assassin’s Creed IV: Black Flag will be released on October 29th in North America, October 31st across Europe, and November 1st in the UK. The game is being developed for the PS3, Xbox 360, Wii U, PC, and the next generation of consoles (which includes the PlayStation 4). Ubisoft has not officially announced the release dates for the PlayStation 4 and Microsoft’s next-gen Xbox, however, the company has confirmed that the game is timed to be available for the platform holder’s launch plans. 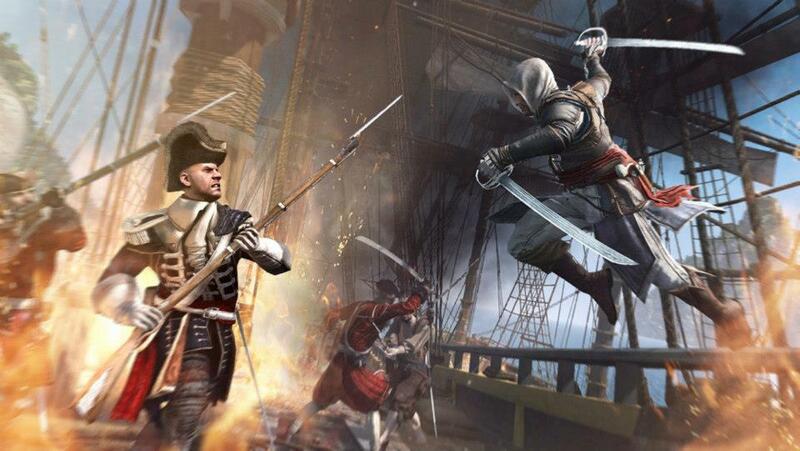 As rumored, you play as Edward Kenway (the father of Assassin’s Creed III‘s Haytham Kenway, and grandfather to Connor). Edward is British-born and comes from a poor upbringing. However, his charm, recklessness, and selfish nature provide a way out of poverty, as they make him a natural pirate. Players start their journey with Edward as a pirate sailing the high seas. 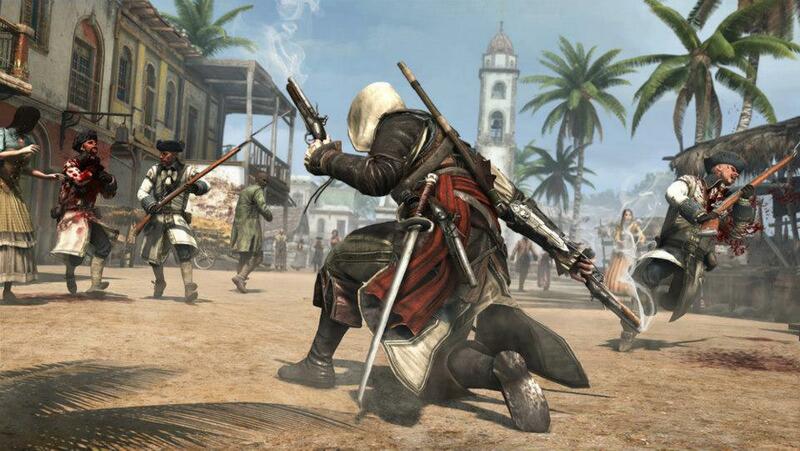 As the plot progresses Edward is introduced to the Assassins and joins their ranks in the fight against the Templars. Over the course of the game players will also run into many historical characters, including; Black Beard, Anne Bonny, Charles Vane, Calico Jack, and Benjamin Hornigold. Additionally, the game will feature many historic events, such as; the gold-laden Spanish armada shipwreck off the Florida coast, the marooning of Charles Vane, and the massive assault on 42 Portuguese ships. 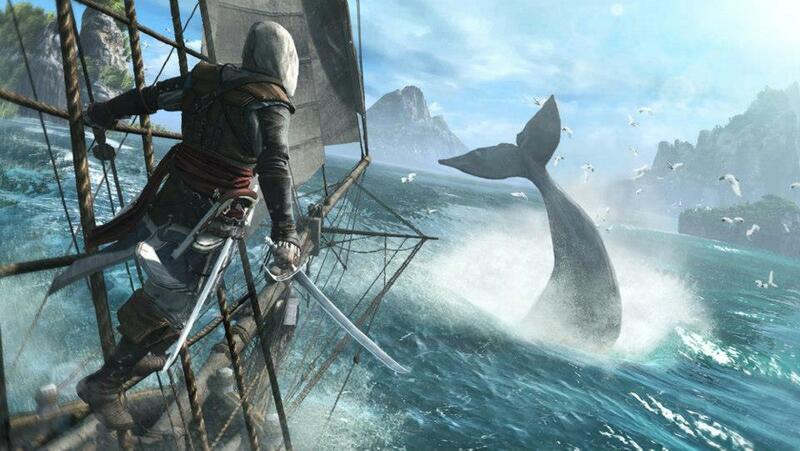 Assassin’s Creed IV: Black Flag‘s game world is said to be set up a bit like The Legend of Zelda: Wind Waker. 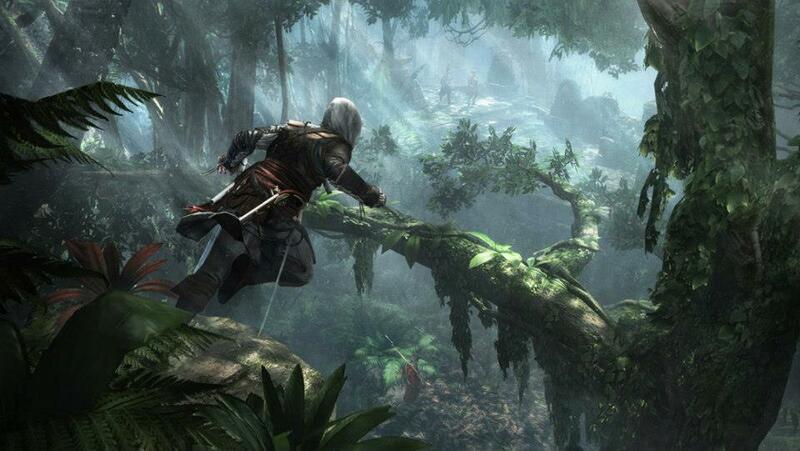 The game promises a seamless open world experience, with a huge ocean and over 50 unique locations to visit, such as; hidden fisherman villages, plantations, hidden coves, jungles, naval forts, and Mayan ruins. In addition to all of this, there are three major city locations in Black Flag; Havana, Kingston, and Nassau. Players will use Edward’s ship, the Jackdaw, to sail around the world and engage in multiple activities; Plundering almost any other ship you see, hunting whales, exploring underwater ship wrecks, and of course naval combat. 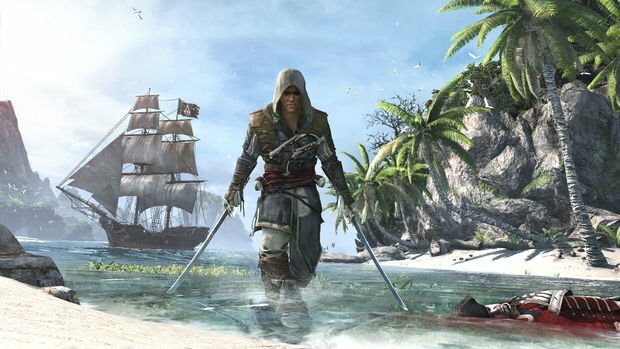 Ubisoft has also confirmed that both the PlayStation 3 and PlayStation 4 versions of Assassin’s Creed IV: Black Flag will have 60 minutes of exclusive gameplay. No details were provided as to what the content will be, however, it is reasonable to assume that it will follow the deal that Sony struck for the Benedict Arnold missions in Assassin’s Creed III. Check out the debut trailer for Assassin’s Creed IV: Black Flag below, along with the first set of screenshots, and let us know what you think down in the comments.